Facebook has been the most popular social from a really long time now. Back in the days of MySpace and Orkut it had competition, but now when we talk about a "Social Network" the first thing that hits your head is Facebook, unless you are from China or Japan maybe. Since everyone out there must be using Facebook, or majority is, Facebook becomes the best possible way for reaching a targeted audience. Now there are multiple ways you can achieve your goals and the idea of this post is to clear up the fog for you and decide what's best for you. Let me tell you a little secret. Facebook Ads are really really "cheap". Not in quality but in price. 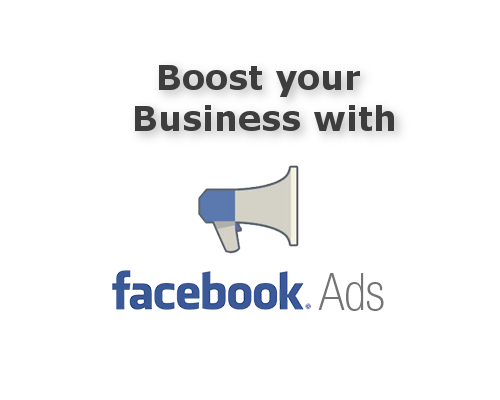 So without giving it any other thought if you can invest a little in promoting your valuable content, prefer Facebook over Adsense or Bing Ads. What all options for marketing are available on Facebook? Facebook Ads carry a lot of variety. You can promote not only your websites and pages but also your individual posts, photos and videos. Let's say if you run a video production channel on YouTube, instead of promoting your page on Facebook you should promote a particular video link. That way you end up getting more views for your video and the genuinely interested parties do open up the page it is being posted from which means you get the traffic that is more likely to interact with your future posts. Making a Page for your business. When you make a page for your business you need to make sure you have the right audience. It is really toxic having just fake likes on your page and no interaction from the people. To make sure that does not happen with you, do "NOT" buy fake likes. Do "NOT" post content a type of content your might not upload in future. That seriously degrades the quality of the page and once that happens your page is likely to die over time. Now once you have a page you are supposed to share, write upload good content. How? Just the pictures. Don't update the status, don't share any link. Just upload pictures. If you want to share a link, upload a picture and leave a link in description. Just make sure, there is a picture there. People tend to interact more with the images posts than textual ones. Once you get a good audience on your page you can simply share links even with lower interactions it will be enough to satisfy you. There, you have your own free promotion anytime you want.